Established in 1893, the Daily Journal is known as one of the foremost legal publications in the U.S. The publication is widely respected by California attorneys in all practice areas for its extensive coverage and profiles of judges, appellate decisions, and other notable legal information. Eric Gibbs represents plaintiffs in consumer class actions, as well as employment, pharmaceutical, and medical device litigation. He serves in court-appointed leadership positions in a diverse array of cases addressing consumer fraud, automobile defects, data breach and privacy, truth-in-lending, product liability, and employment matters. He has successfully prosecuted cases against some of the largest corporations in the country, including Intel, Apple, Health Net, Blue Shield, DISH Network, Bayer Pharmaceuticals, Honda, Chrysler, Mitsubishi, Mercedes-Benz, BMW, Ducati, Toyota, Hyundai, Kia, and Whirlpool. 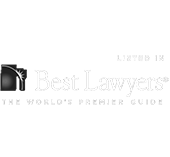 In addition to Eric’s recognition as a “Top Plaintiff Lawyer in California,” the firm has been repeatedly recognized for its exceptional work. The firm was distinguished as a Tier 1 law firm for plaintiffs’ mass tort and class-action litigation in the 2013-2016 “Best Law Firms” list, an annual survey published in the U.S. News & World Report’s Money Issue. The National Law Journal (NLJ) named Gibbs Law Group to its elite “Plaintiffs’ Hot List” for 2012, a selection of top U.S. plaintiffs’ firms recognized for wins in high-profile cases. Fourteen of the firm’s attorneys have been selected as Northern California Super Lawyers and Rising Stars. Mr. Girard and Mr. Gibbs were selected by their peers for inclusion in the Best Lawyers in America 2012-2016. Best Lawyers also designated Mr. Girard as the 2013 “Lawyer of the Year” in San Francisco for class action litigation. Mr. Girard and Mr. Gibbs have both earned AV-Preeminent ratings from Martindale-Hubbell, recognizing them in the highest class of attorneys for professional ethics and legal skills.